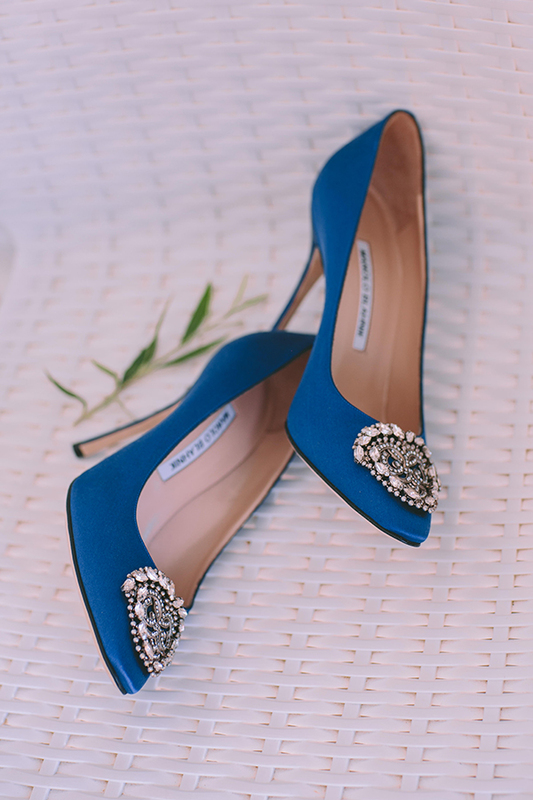 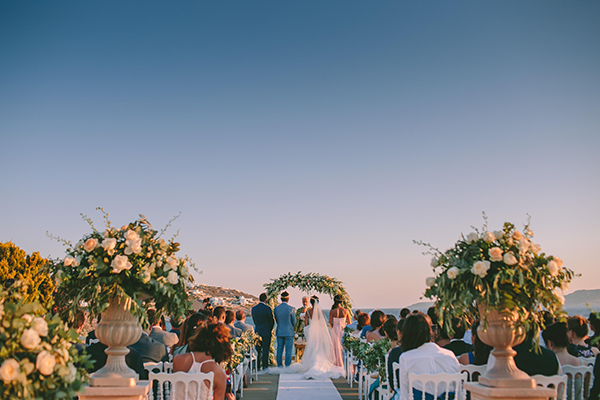 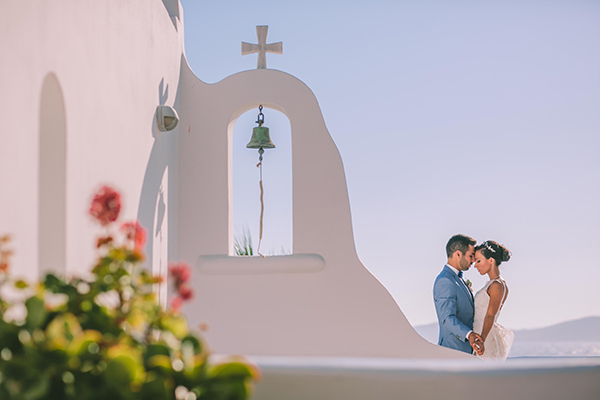 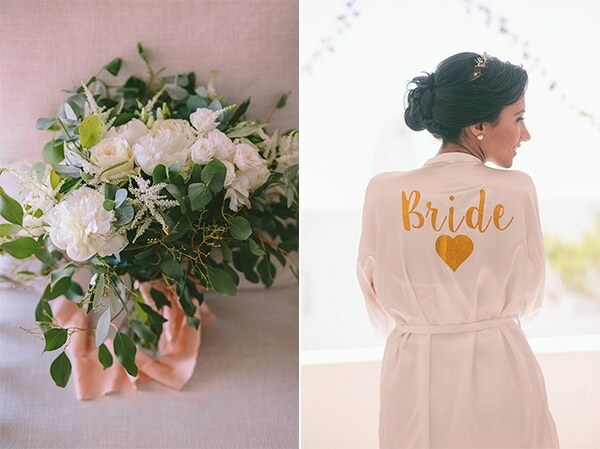 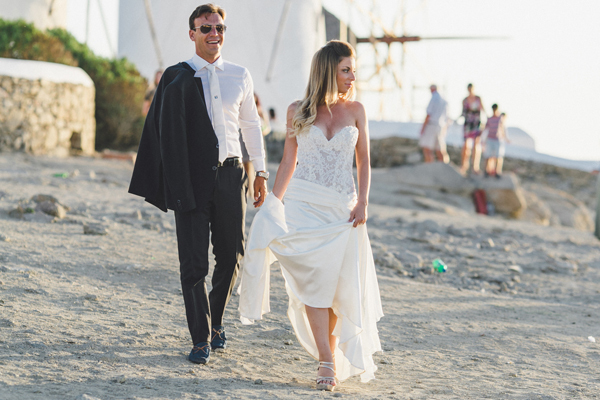 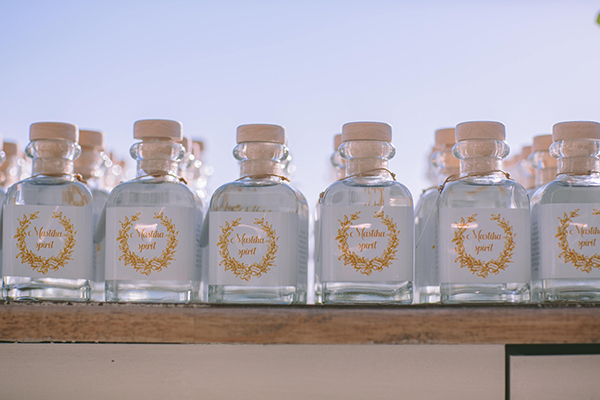 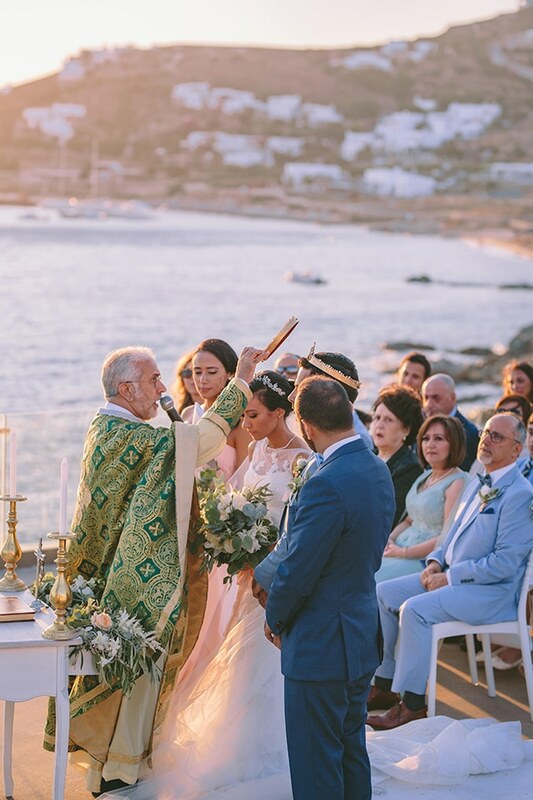 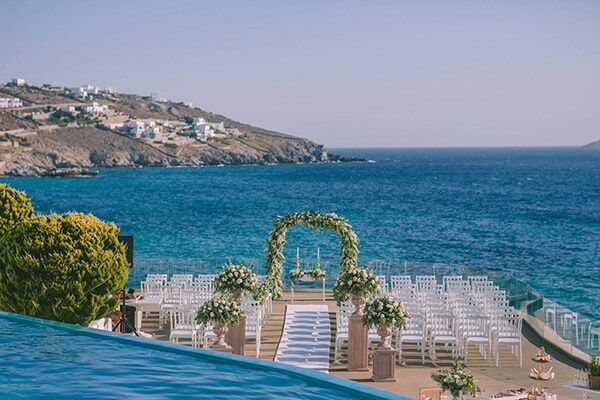 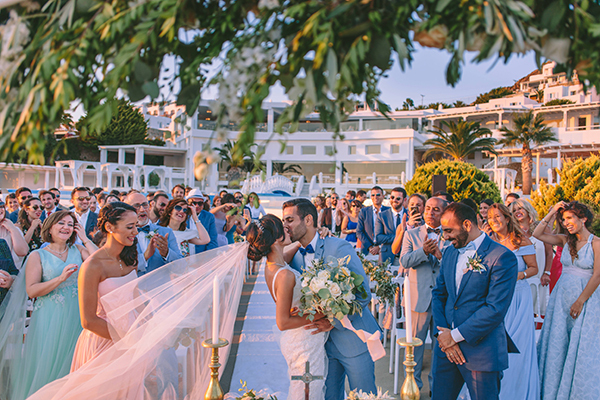 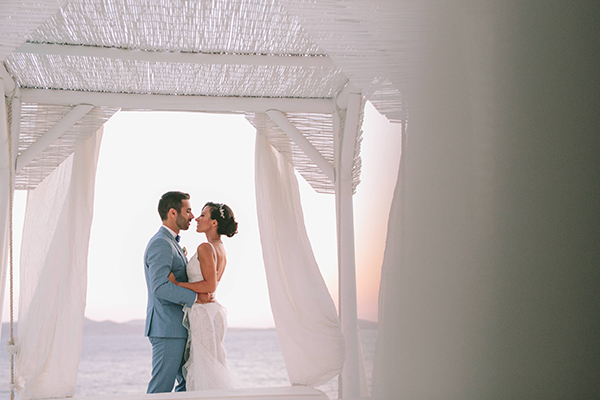 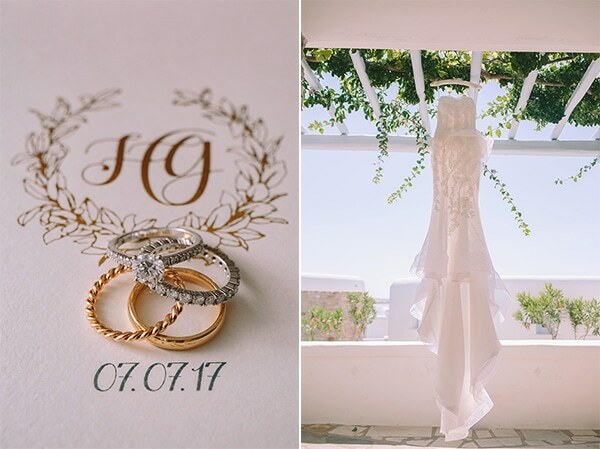 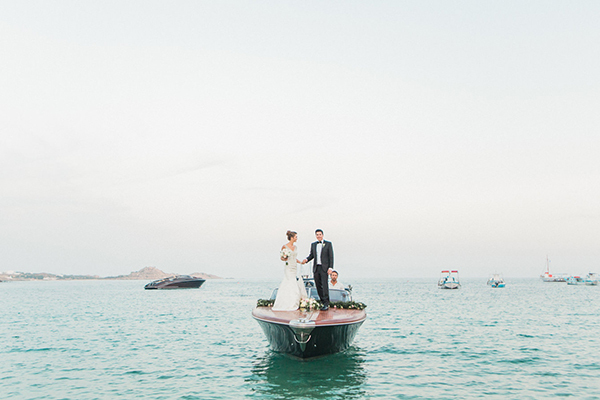 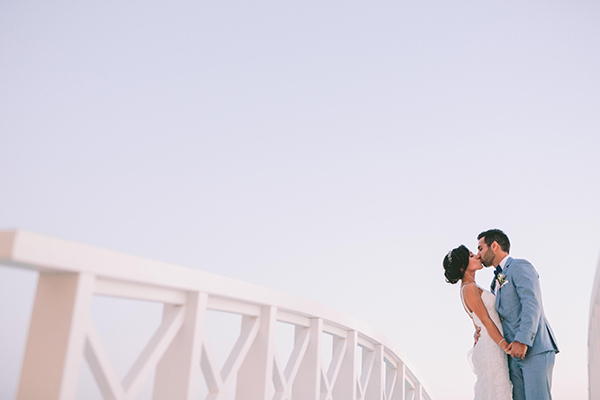 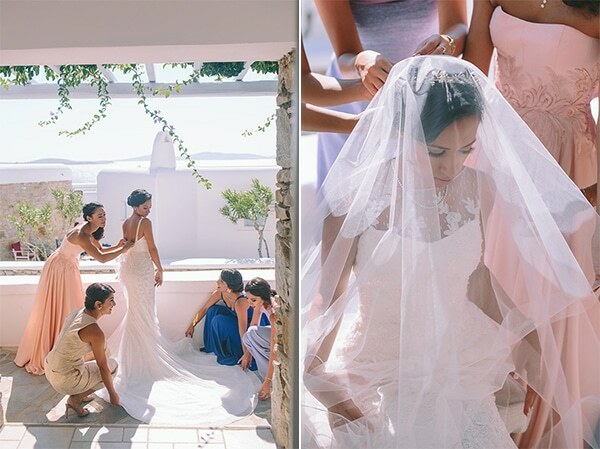 Today, we’re travelling to the magical Greek island of Mykonos to celebrate the love of a gorgeous couple as well as admire all the prettiness of their wedding! 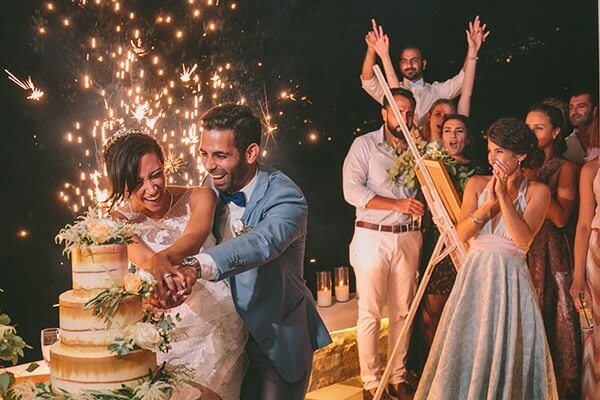 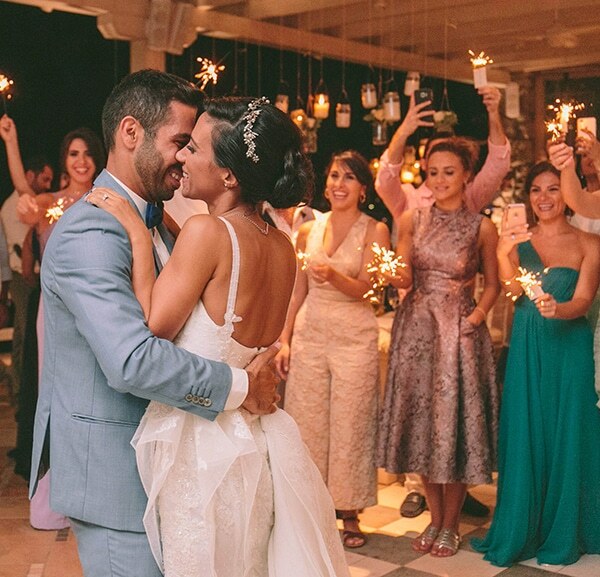 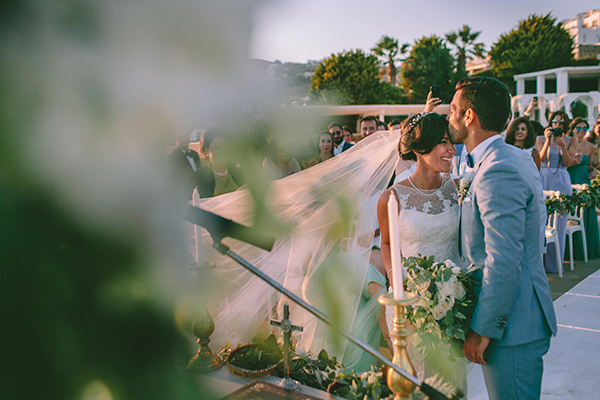 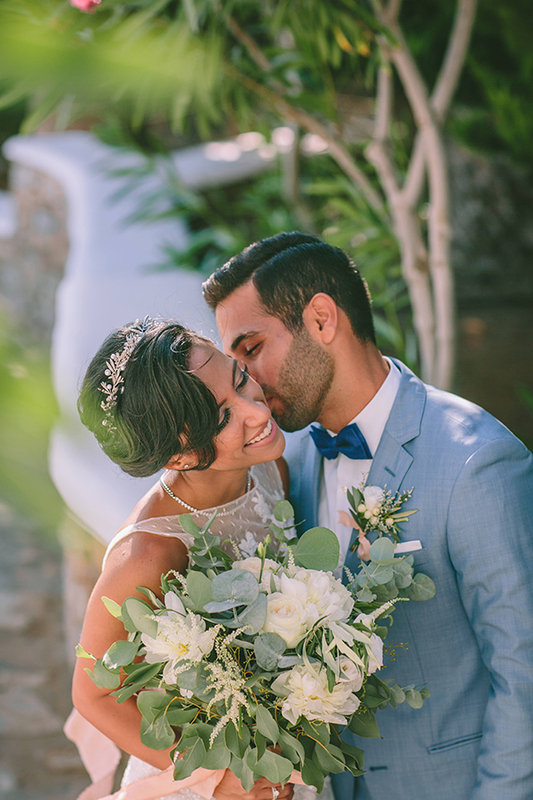 Gaelle and Habib decided to seal their love in a place with stunning golden beaches, transparent waters, picturesque old town and both sophisticated and fun nightlife. 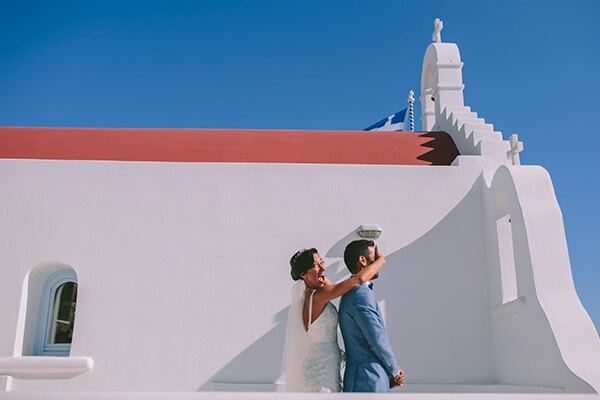 So, Mykonos was the perfect choice! 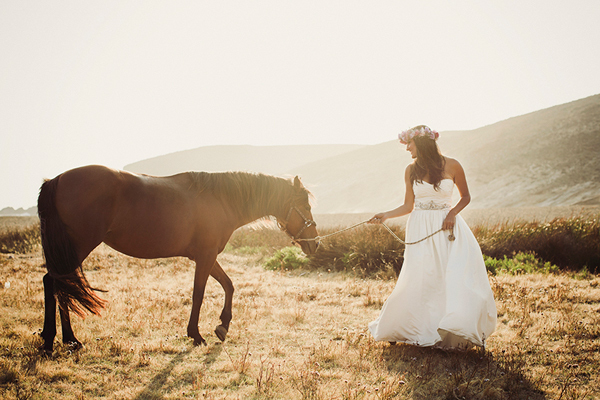 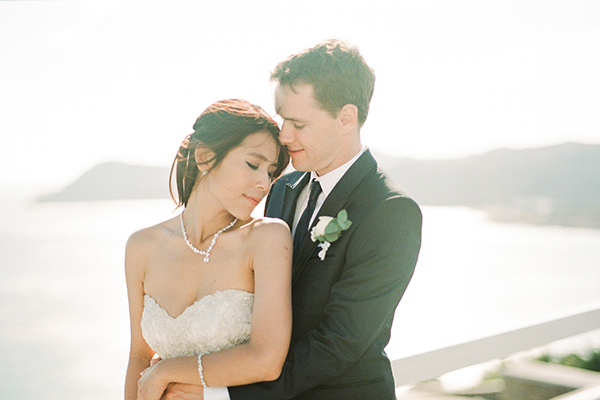 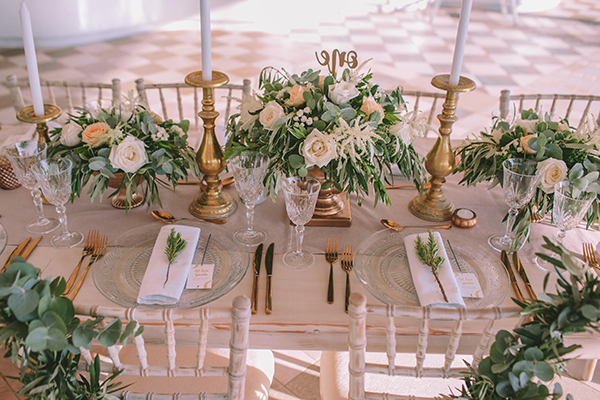 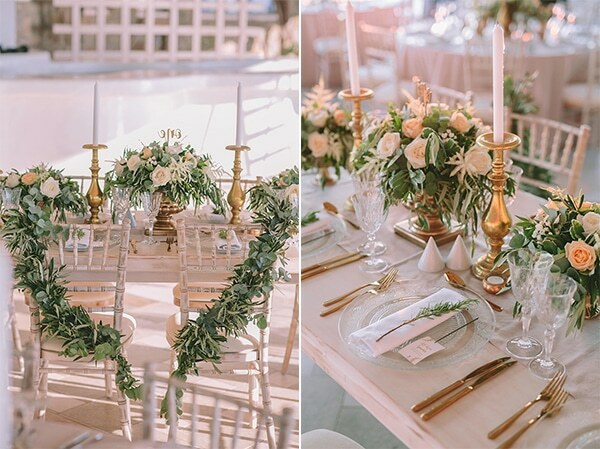 They organized a rustic yet elegant wedding with lush greenery and golden accents. 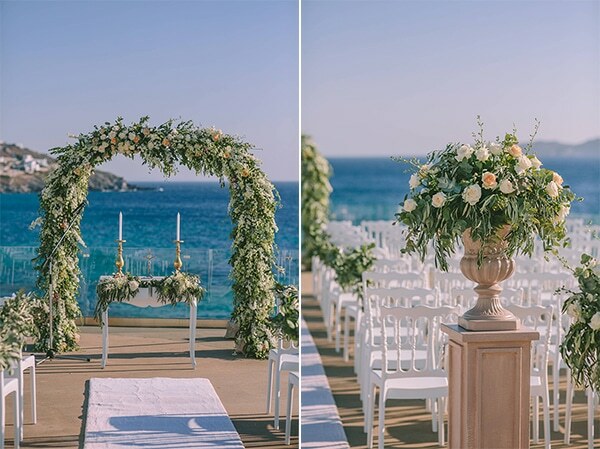 The ceremony was beautifully decorated with white carpet, white chairs, an impressive arch full of flowers, flower bouquets and many golden touches. 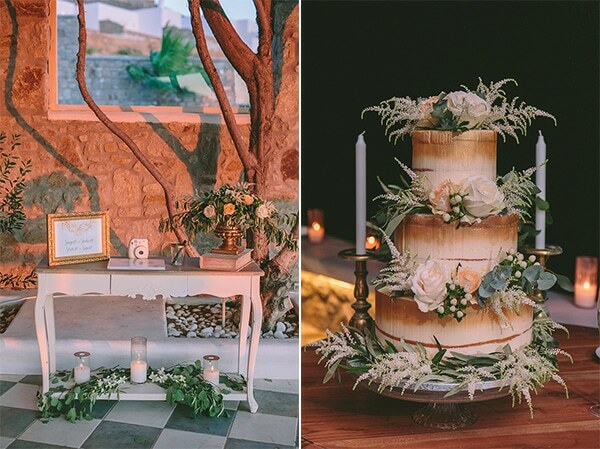 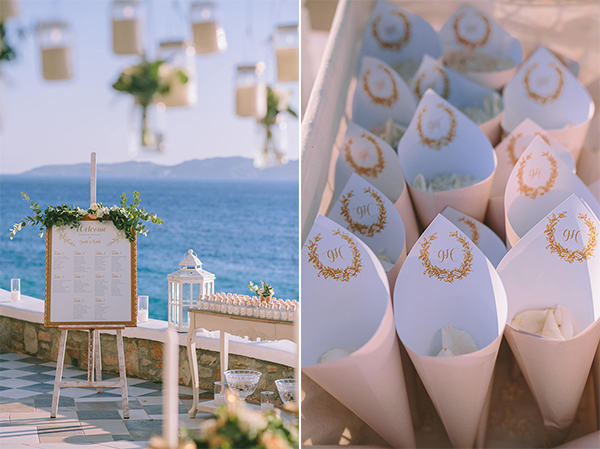 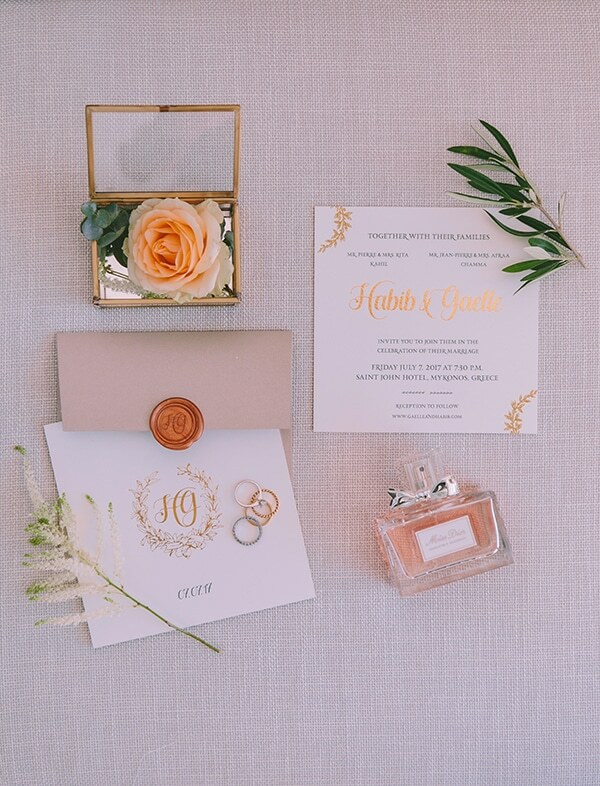 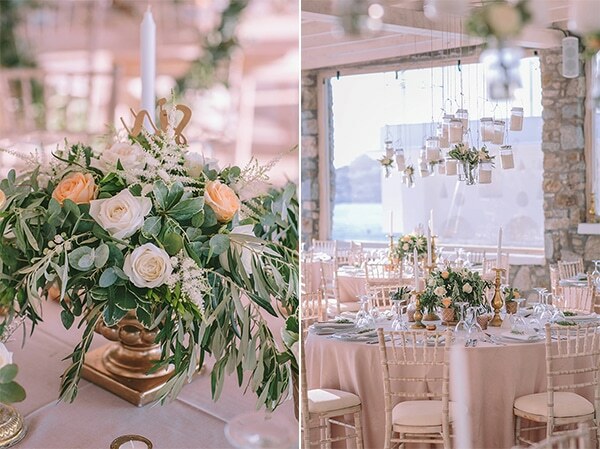 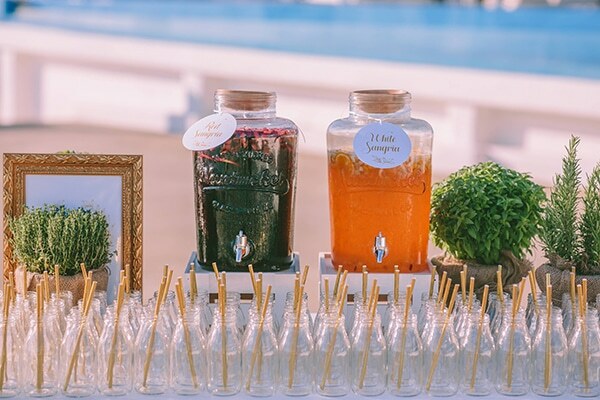 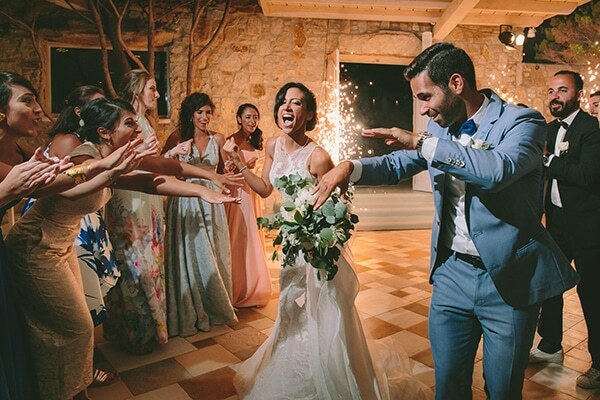 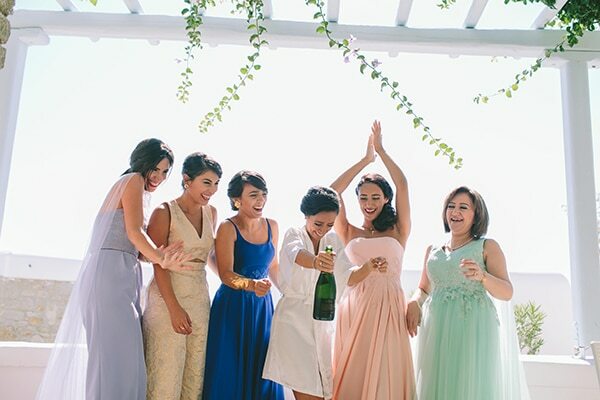 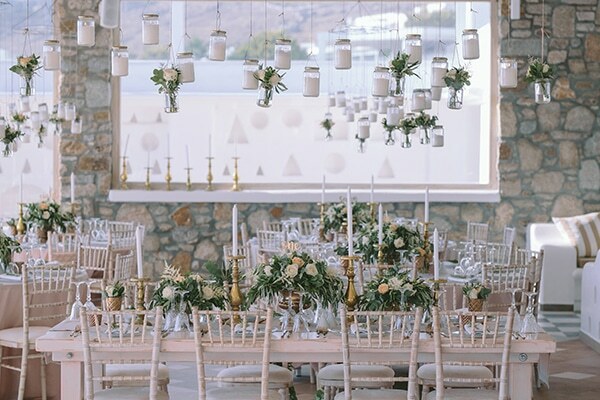 Same goes for the wedding reception which followed the same color palette and concept… Feast your eyes on all the dreamy details through the following photos by Pahountis Photography!